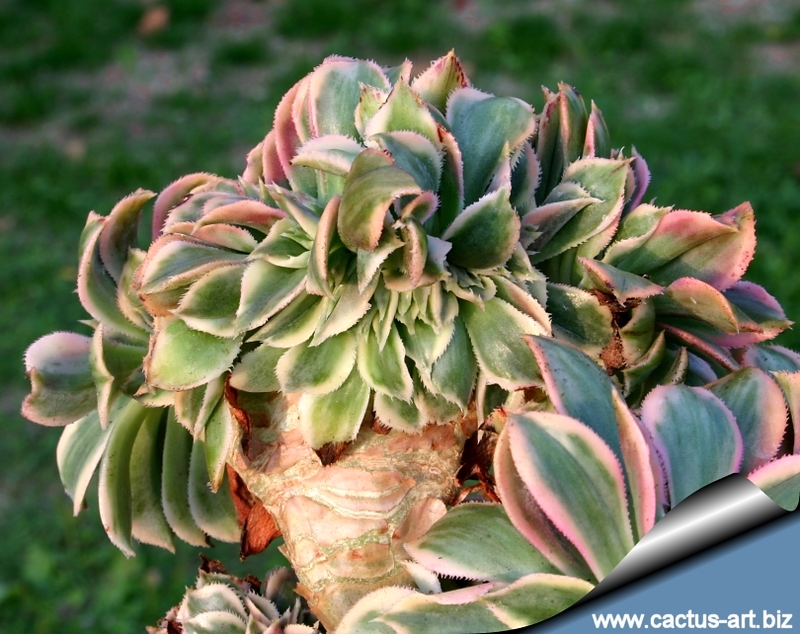 Large colourful crested cultivar with pink-edged rosettes variegated in shades, of light grey-green, cream- white and creamy yellow. 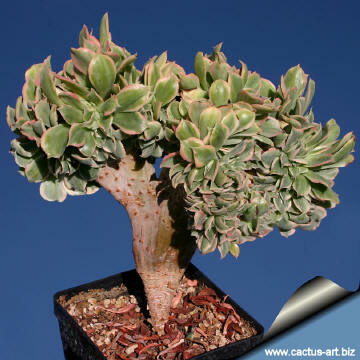 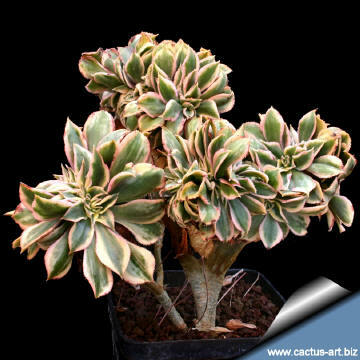 Description: Aeonium cv. 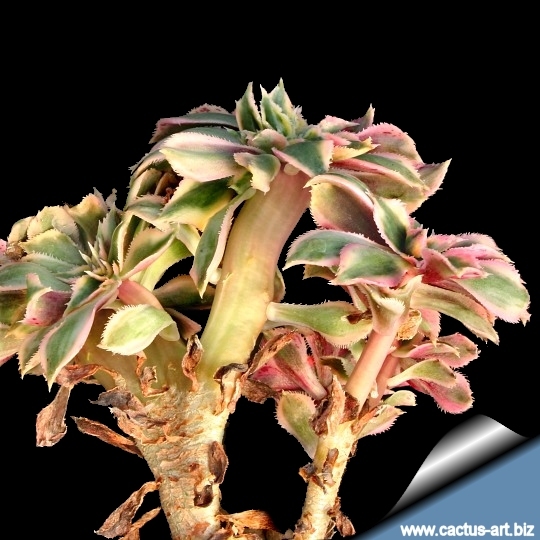 "SUNBURST" forma cristata is a branching succulent which produces nice crested stems and seems to to change in and out of its crested mode during the years. 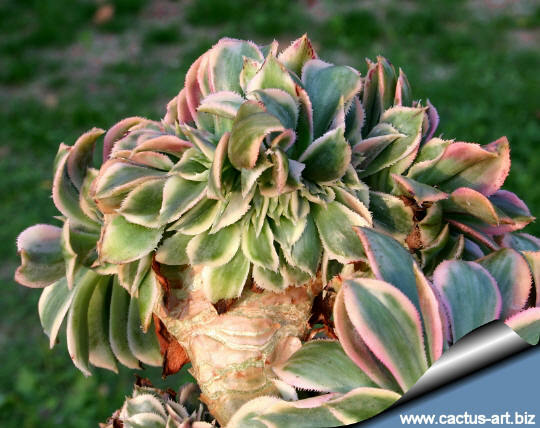 The fasciated rosettes have grey-green and cream white leaves edged in bright, pink-red that stand up on stalks to 30 cm, Width: 30-40 cm. Photo of conspecific taxa, varieties, forms and cultivars of Aeonium decorum. 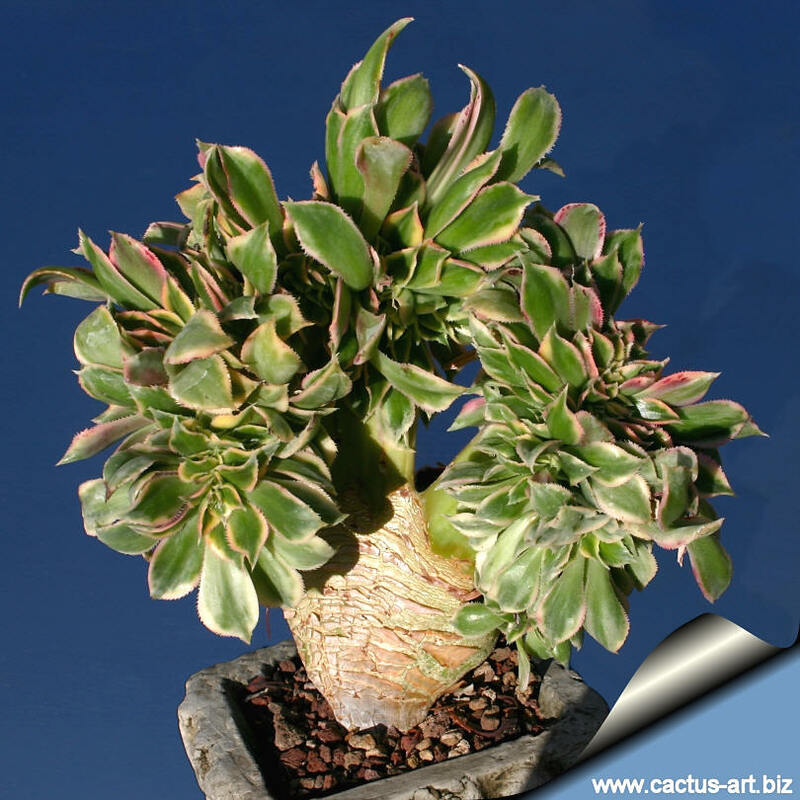 Cultivation: It requires gritty well drained potting mix. 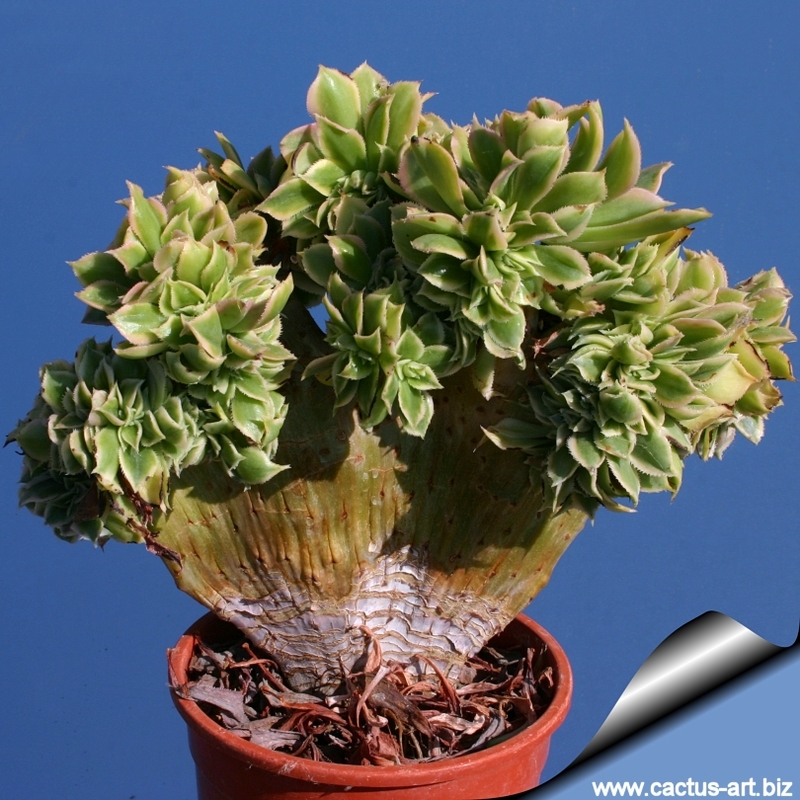 Water deeply but infrequently. 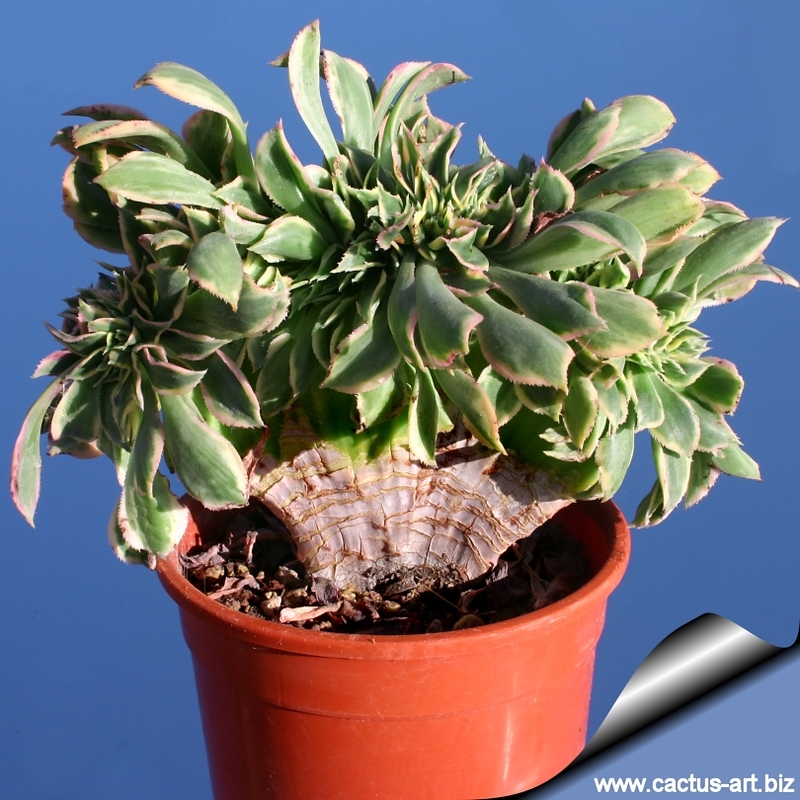 Plants are allowed to thoroughly dry in-between waterings. During the winter months restrict water to about once a month, or just enough to keep the foliage from shrivelling. 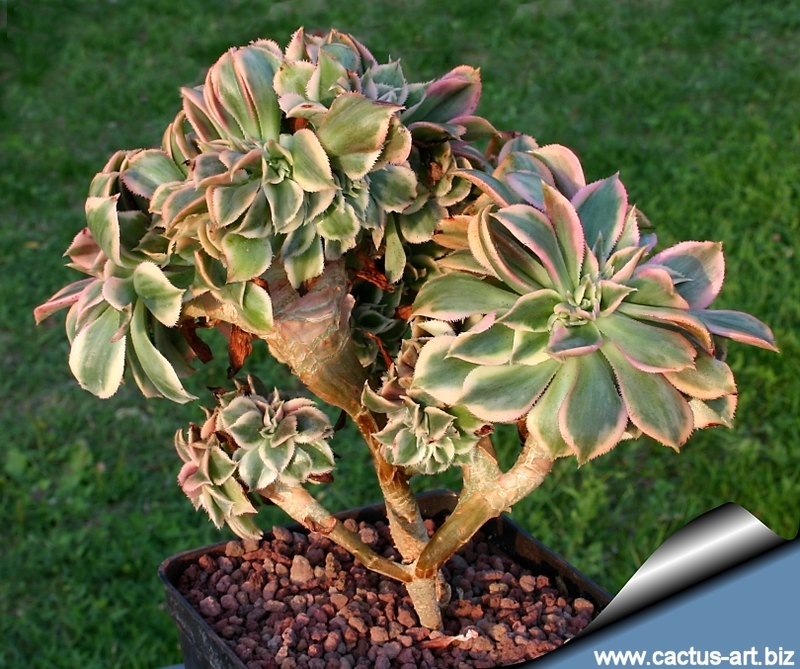 Position in full to part sun in a sheltered spot, but the bright light enhances the rich hues of the darker Aeoniums, and the subtle blushes of the other colours, but prefers light shade to shade in summer. 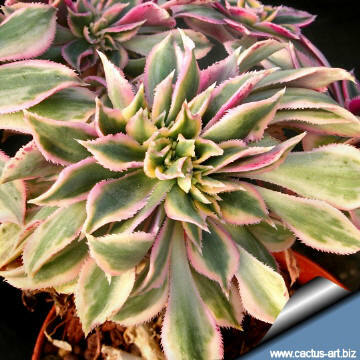 The plants tend to go dormant in the summer and look a little tired sometimes, but they perk up again in the fall. 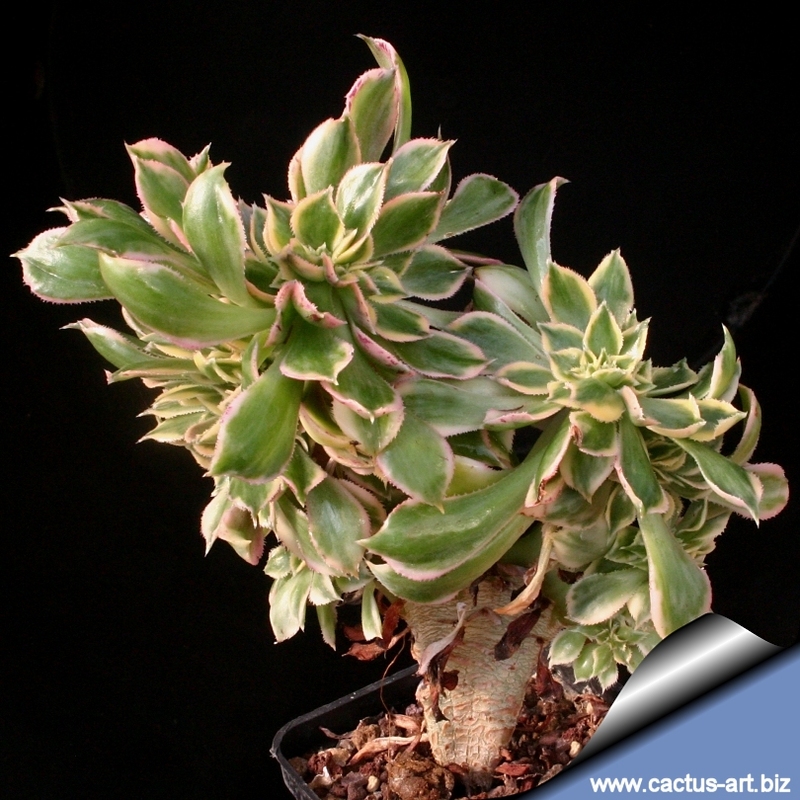 Summer is the natural dormant season for this species in its native land. 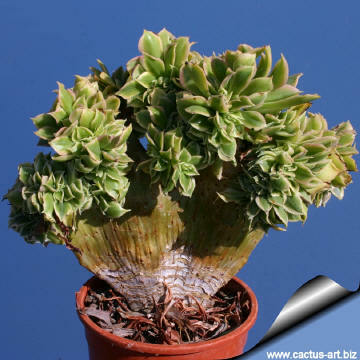 Needs protection from severe winter frosts (Hardy to -2°C or a little less for short periods), over winter under glass in all but the mildest of gardens.